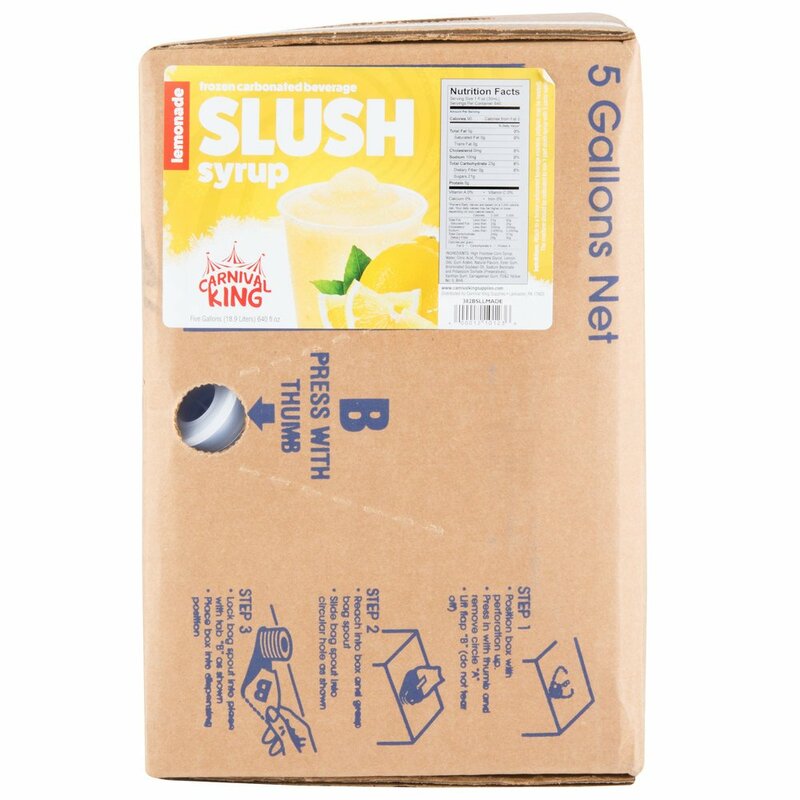 Beat the heat with a cool and refreshing slushy or granita made from this Carnival King 5 gallon bag in box lemonade slushy syrup! Guests will start craving your colorful slushies as soon as they see them at your carnival cart or concession stand. You can even begin offering light and sweet granitas to put a new spin on your coffee shop or cafe's drink menu. Just a small amount of this syrup will help you make a large number of profitable drinks! This large 5 gallon bag in box is perfect for your high volume fairs, stadiums, or other special events. Plus, you can quickly and easily prepare your customers' favorite cold summertime treats. Carnival King offers great flavors at a great value, and this sweet lemonade flavor enhances the appearance, color, and taste of your icy cold drinks. This slush syrup is generally mixed 1 part syrup to 5 parts plain water and then added to a slushy or granita machine. The 5 gallon bag in box design works with frozen carbonated beverage machines, so it's always as convenient for you as it is delicious for the customer.